Made in New England: Bonnie's Jams Strawberry Rhubarb, 8.75 oz. 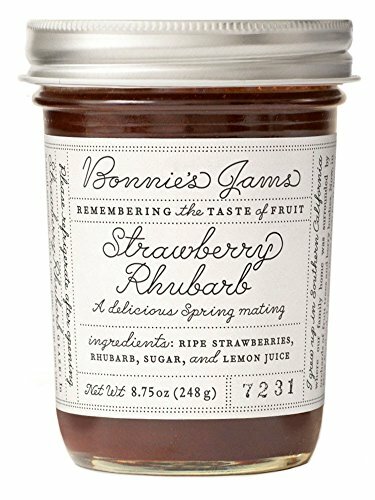 Bonnie's Jams Strawberry Rhubarb, 8.75 oz. The taste of first of the season rhubarb and strawberries both ripening at the same time is always remarkable. These fruits were meant to find each other, and their marriage in this jam is a tribute to the farms of my childhood. Indulge and slather this jam with fresh butter on toast or a scone.